Many resort areas and retirement destinations have little more than nice real estate to occupy visitors and permanent residents. 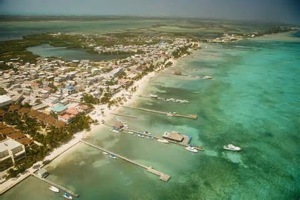 Fortunately, Ambergris Caye sets itself apart from the typical fare. While it's nice enough to live on one of the best retirement islands in the Western Hemisphere, it's even better to take advantage of the many Ambergris Caye amenities that you can enjoy any time you get ready. One of the most attractive amenities you'll encounter during any Ambergris Caye visit is the island's proximity to the open water. While the clear blue seas and freedom to explore are certainly awesome, the fact that one of the world's largest, most well-protected barrier reefs is less than a mile offshore makes it even more imperative that you at least get your toes wet. Although Belize is known for its dedication to natural conservation, there's no excuse for missing an opportunity to check out the ocean's depths. In addition to protected marine reserves, there are amazing underwater caves to explore, and you never know what kind of wildlife you'll see on any given day. While many Ambergris Caye amenities revolve around modern activities like water skiing, jungle exploring and evenings out on the town, the area has been inhabited for thousands of years. You'd be remiss not to take a trip to the ancient Mayan ruins near San Pedro Town or even head to the mainland to visit the amazing temple structures and art preserved at Caracol. These archaeological resources are scattered all over the country, so you could discover something totally new no matter where you look. It's impossible to discount the appeal of strong community ties, and modern Ambergris Caye amenities make it easy to forge lasting bonds. This isn't an isolated retirement community where the only social interaction takes place infrequently. There are festivals that anyone can enjoy during eight out of 12 months each year. There are also plenty of ways to stay active as a volunteer and give back to the local community. The strong sense of solidarity that living in this tropical paradise fosters may indeed be the greatest amenity of all. To learn more about how you can become a part of the Ambergris Caye community at Grand Baymen, visitÂ http://grandbaymen.com/community.html for more information.